( March 30, 2014, Hong Kong, Sri Lanka Guardian) Human beings, however poor or however oppressed, seek justice in the same way. Even a tuberculosis patient looks for fresh air. All wisdom traditions have associated justice as having the same character as fresh air. To deny justice is to deny a fundamental condition of being human. If a person cannot get fresh air in the normal way, they have to be provided with air through artificial means of giving oxygen. To treat a patient’s illness, the patient must first be kept alive. If they cannot be kept alive by natural means, they should be kept alive through the use of artificial means. Failing to do that is to resign oneself to sure death. In the recent decades, the Sri Lankan state represented by various regimes, lost sight of this essential truth, that people cannot be kept alive if they are denied justice. The way this most basic trend running through all political philosophy - whether it be Western philosophy rooted in Greek thought or Eastern philosophies, including Buddhism - was forgotten and ignored by these governments is hard to comprehend. Even colonial powers cruelly oppressing local populations understood that, for their own good, some avenues for justice (or at least semblances of justice) should be kept alive. This most basic tenet was what the Sri Lankan leaders in recent times forgot and the incumbent President Mahinda Rajapaksa pays no attention to at all. Perhaps it is a premise that has never entered into his mind. 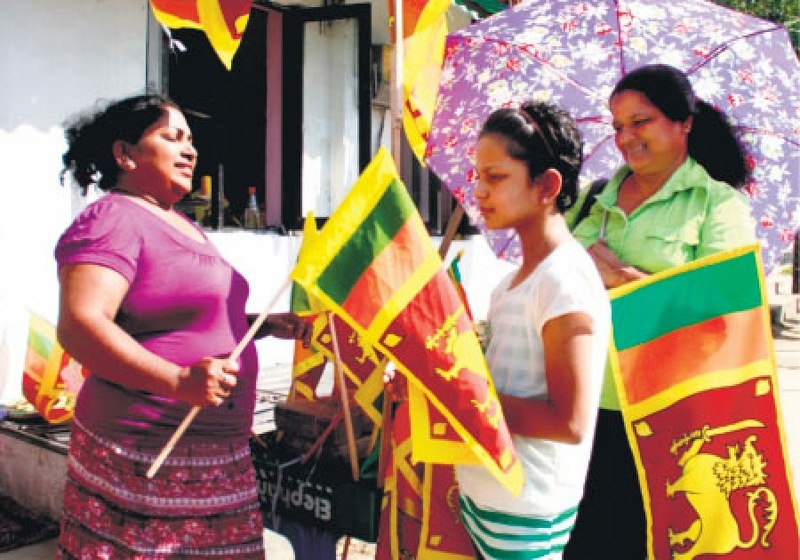 The ruthless and exploitative tradition of the Rajapaksa family in the Hambanthota district over a long period of time may be the reason why he does not know the place of justice in politics. Since 1971, the processes of justice – however limited they might have been - have been continuously and ruthlessly wiped out from Sri Lanka. In 1971, State agencies began the practice of securing people’s arrest and then killing them, and that practice was continued. One of the most basic tenets of justice, which is to protect persons who have been taken into State custody, was most carelessly abandoned. At no time did the Parliament exercise its power to reexamine and review the factors that led to the adoption of this most pernicious practice. Nor did the Sri Lankan judiciary take the risk of defending the rights of the individual at the cost of offending the executive. The principle so beautifully entrenched in the Bracegirdle case of 1937 was not a sacred enough principle for the Sri Lankan judiciary to put their all their effort in to secure. The result is simply that even the most basic legal remedy, habeas corpus, became a remedy that is impossible to obtain in Sri Lanka. Literally hundreds of cases demonstrate the carelessness with which this most basic remedy was trampled upon and discarded. The rest of the history of Sri Lanka’s descent into a justice-less nation needs no enumeration here, as it is a tale so often retold by so many persons. The last episode of this frightening drama was the manner in which the Supreme Court of Sri Lanka was dragged down and trampled upon by the executive. Volumes of literature exist on this particular aspect. At the moment, Sri Lankan President and government attack the resolution adopted by the United Nations Human Rights Council on the 27th of March, during its 25th session, with loud cries of great patriotism. When rulers deny justice, what rights have they to talk about patriotism? We are witnessing a moment of enormous hypocrisy exhibited through the largest possible use of public media. However, that is no answer to a people denied justice. They want to breathe. No ruler can stop the people’s wish to breathe. Seeking the assistance of the international community may be a resort to a ventilator. Between death and the ventilator, it is only natural that anyone would choose the latter. Crying foul against an international body, which was established for no other reason than to provide some avenues for justice when the internal processes failed, is itself an enormous bluff. It is time, though it is now far too late, to wake up and grasp the fundamental political tenet that no ruler can rule while denying a modicum of justice to their people. We are witnessing a dramatic moment in which this basic truth is once again being reasserted.